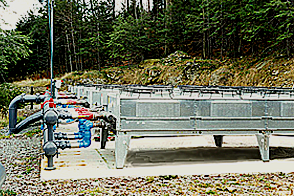 Whether using evaporative, dry air, shell and tube or plate and frame heat exchangers or a combination of cooling methods, HydroThrift can fulfill virtually any customer's industrial cooling need with an appropriate closed loop system. 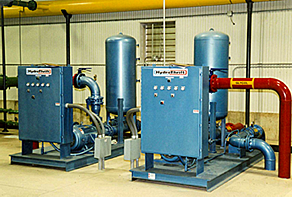 All HydroThrift systems are designed as packaged components to facilitate on-site installation. The Closed-Loop Dry-Type Cooling Sytem is a cost-efficient way to maintain consistent equipment cooling temperatures and prevent corrosion. Any heat-producing industrial process or equipment will benefit from the installation of this system. That's because the HydroThrift system removes heat from machines and processes continuously, cleanly and with little or no maintenance.